If you like to plan ahead and are already looking for the summer holidays next year then be sure to check out the great deals over at Onthebeach. 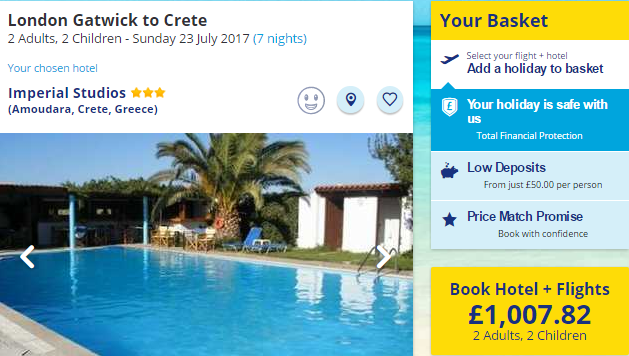 They have some cracking holidays like this cheap week in Crete for less than £1008 for a family of 4. You can of course amend the search requirements to meet any party size, just CLICK HERE. This example is for a 7 night stay in Imperial Studios with Return Flights. It’s departing from Gatwick on 23rd July 2016. To change the dates or departure airport – click here. These studios offer great opportunities for guests to unwind, yet they are just 10 minutes walk from the centre of lively resort of Ammoudara and about 5 minutes from the nearest supermarket. Situated along a country road on the way to the village of Gazi, this picturesque property affords lovely mountain views in a very peaceful location – we suggest you take a torch for late night returns! The Imperial is run by two brothers who their utmost to create a good ambience and make all guests feel at home. 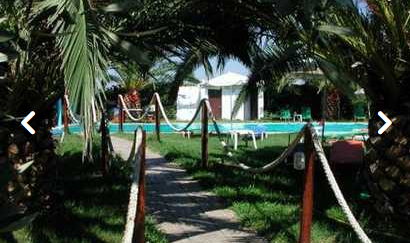 10 minutes walk away you will find a choice of bars, tavern and nightclubs. 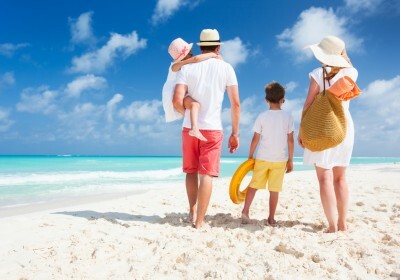 Ideal holiday for couples and families. Despite the low price, the Imperial Studios has great reviews on TripAdvisor and an average rating of 4/5 which you can check out HERE. The comfortable rooms and pleasant surroundings will make the perfect base for your summer holiday.